Introducing the super cute Brit-Stitch Backpack! 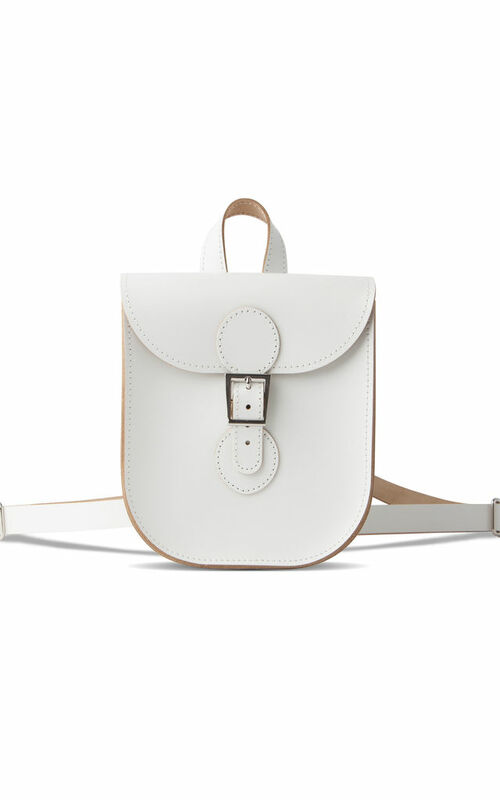 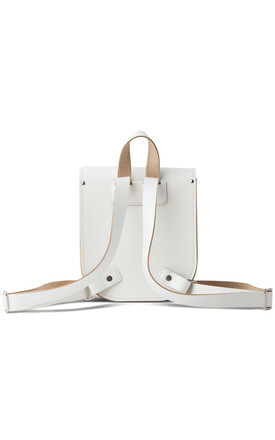 Like their best-selling Medium Satchel Shoulder Bag, this 90's inspired white minimal leather backpack is roomy enough for all your essentials but with one slight difference – awesome shoulder straps! 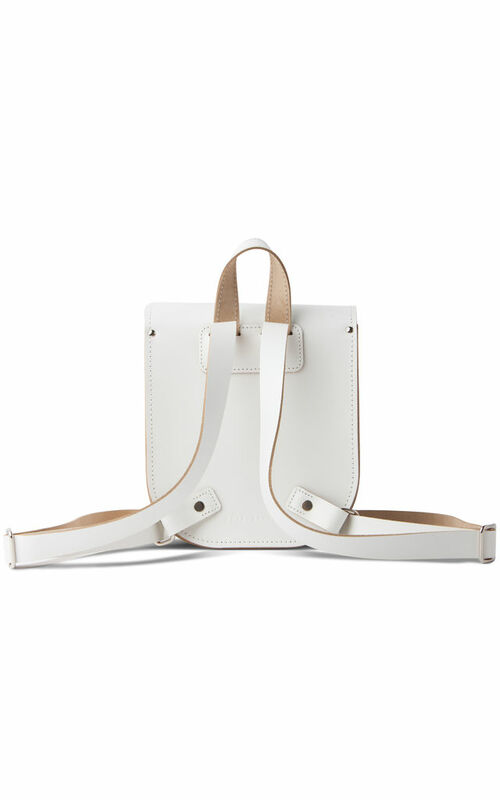 The straps are fully adjustable and there’s also a top loop for easy hanging. 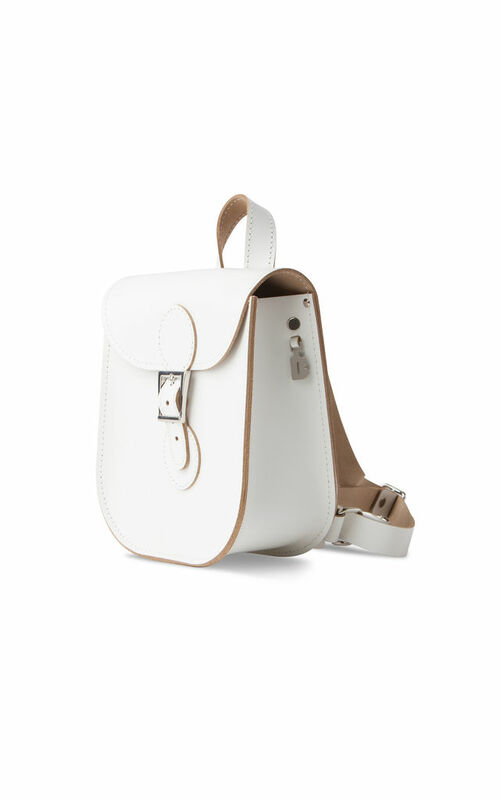 To make sure your stuff is totally safe, this bag features a full buckle rather than their usual magnetic style.